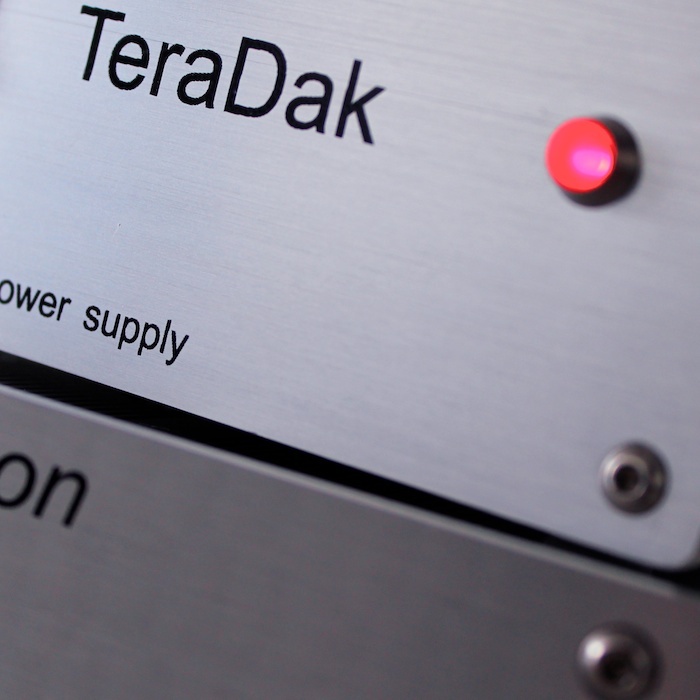 Eager Head-Fi beavers will know all about TeraDak. 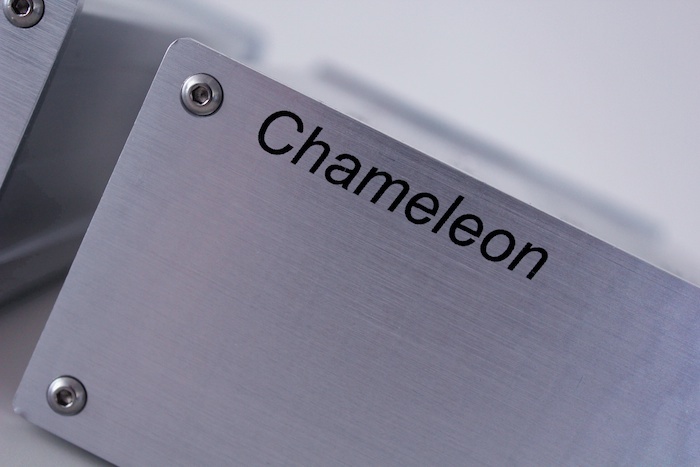 The Chameleon (RRP AU$580) is the Chinese company’s second plough of the DAC field. 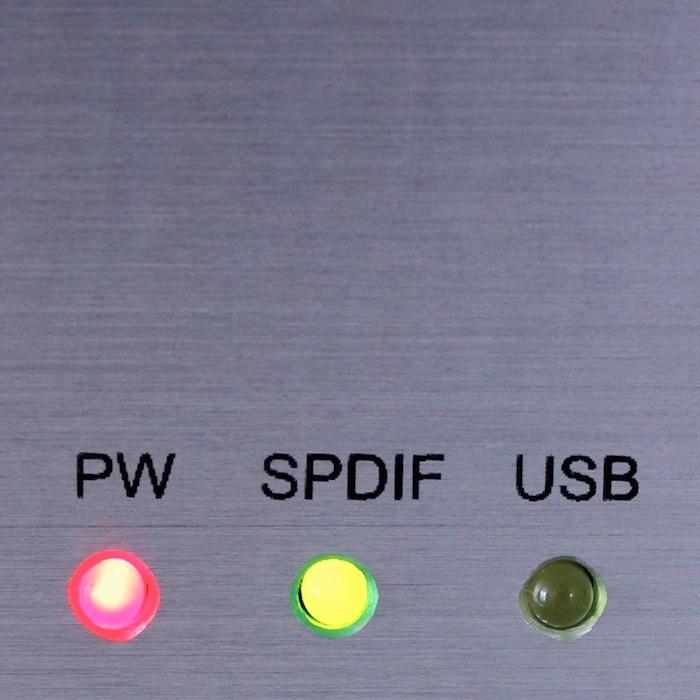 They enjoyed tremendous success with the Valab-branded single box NOS DAC – still available in several variants via eBay – which the modding community took to its chest as a DAC ripe for capacitor upgrades. 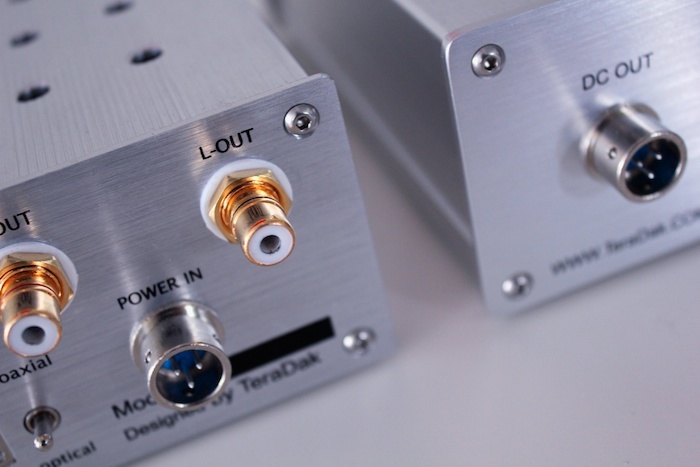 TeraDak listened to Valab customers and modders alike to evolve the Valab NOS DAC into a two-box souped-up, second generation product and call it the TeraDak Chameleon (electing to ditch the Valab rebrand this time around). The power supply has been farmed out to its own separate case so that the business end of the DAC – 16 x Phillips TDA1543 working in parallel – benefits from the much-requested free space for mod-monkeys to go nuts and bananas all over again. 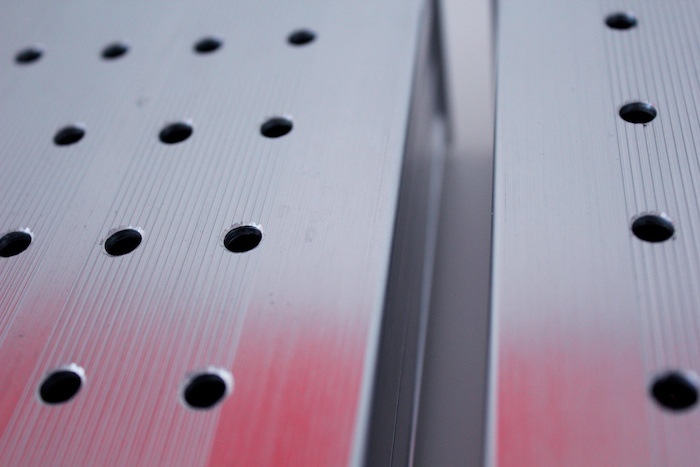 There’s even a white space on the rear of the unit for the DIYer to sign their name – cute. However, this review is of a virgin state TeraDak Chameleon. Build quality is acceptable but not up there with the spit and polish of the name brands of the industry. Even in its natural, untainted state there’s a look of home made charm to the two “silver” boxes. Aesthetics are important to some, less so to others. I fall somewhere in the middle with amplifiers and loudspeakers, but am less sensitive to design anomalies at the cheaper end of DACtown. My forgiveness of build-quality mis-steps can know no bounds if a) the product is perfectly safe to use and b) the sound is right. 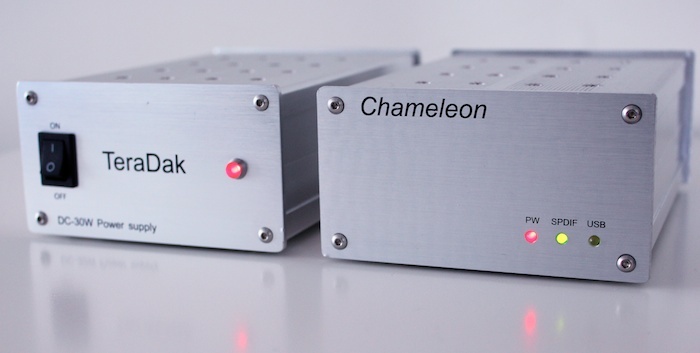 Having spent a couple of hours tweaking Windows and OS X configurations trying to get something pleasant out of the new Arcam rDAC (and giving up), the Chameleon brought with it some much needed fresh air – no driver issues with USB on either platform and certainly no need to go bit-mining beyond a 16/44 setup. 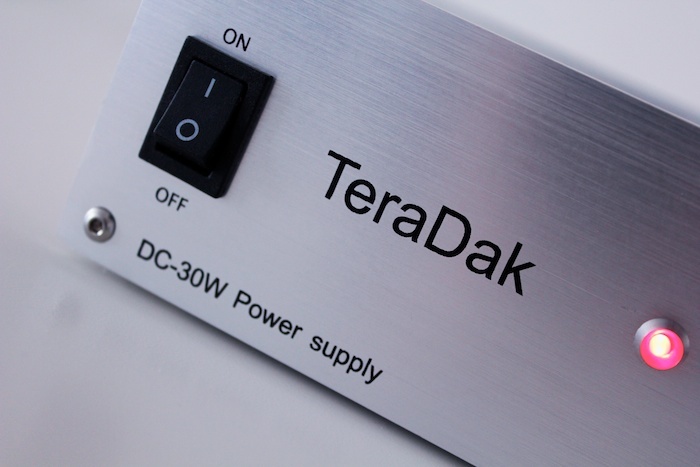 The Teradak can do 24/96 USB and begs the question: why couldn’t Arcam do likewise? Despite the lack of mainstream availability of hi-res digital audio files, customers now seem to want the future-proofing of a 24/96 USB input. 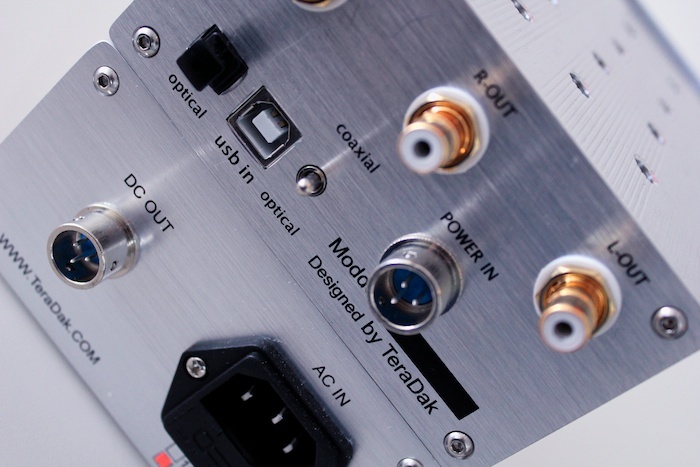 Thumbs up to Teradak on this front for acknowledging what should be a defacto USB audio standard. For those that hang their coat on such component choices, there’s a Wolfson WM8805 patrolling as SPDIF receiver and a Tenor TE7022L working the USB entrance. 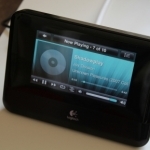 Jitter security is tight and the USB implementation sounded especially fresh and involving. 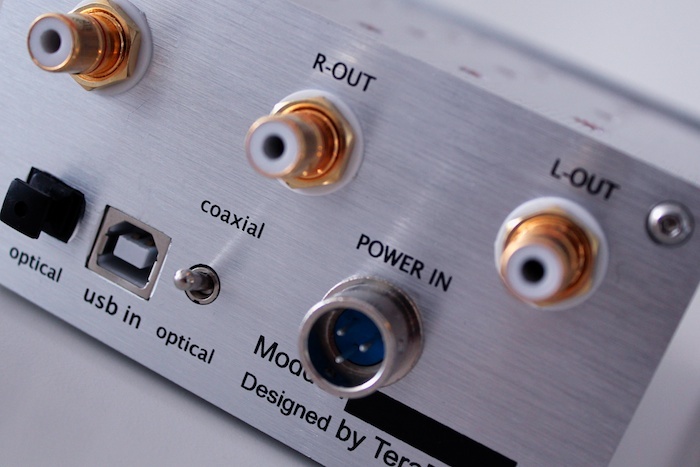 In redbook mode – and by contrast – the Arcam rDac sounded rigid, the TeraDak more at ease in its own skin: right out of the box, there’s an up and at ’em midrange. A spin of Genesis’ Selling England Buy The Pound saw Peter Gabriel’s vocals sounding enthusiastic, earthy, emotional and yet never overbearing or tiring. “The Battle Of Epping Forest” sounded fluid and dynamic. I’m sure this isn’t the most detailed DAC in the sub-$1000 category, but it’s definitely one of the most musical. At no point during my three weeks with the Teradak Chameleon did I find myself yearning for more detail. Its musicality (did you really think I wasn’t going to use the “M” word?) allowed me to ignore it. Job done. Punching in the MHDT Paradisea ($710) after a week of Chameleon living and I am greeted with similar musicality, but comparatively veiled mids. Leading transients aren’t quite as crisp with the MHDT – on percussive tracks, there’s less of the boots-on-a-frozen-lawn crunch of the Chameleon. The TeraDak is cleaner sounding than the tubed-up Paradisea. Again, these differences are small but are differences that shouldn’t go unmentioned. Strike that. They are differences that shouldn’t go UNCHAMPIONED. The new Underworld album Barking has me frustrated. It’s too hands-in-the-air, too euphoric. 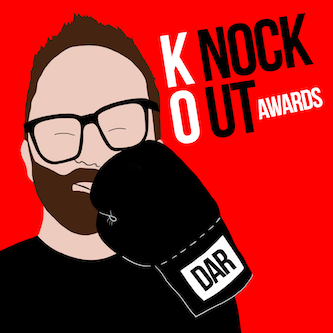 It has none of the dance-music-as-art pretensions of their noughties output. Call me an old-school fan, but I prefer the sinister locomotion of the Oblivion With Bells train. “Blood on a tissue on the floor of the train, Sun goes down, temperature drops”. 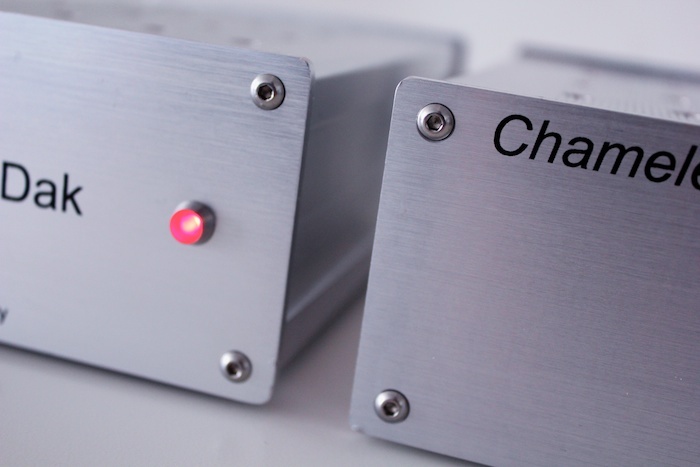 The quiet background of the Chameleon DAC renders “Beautiful Burnout” as clean and epic. 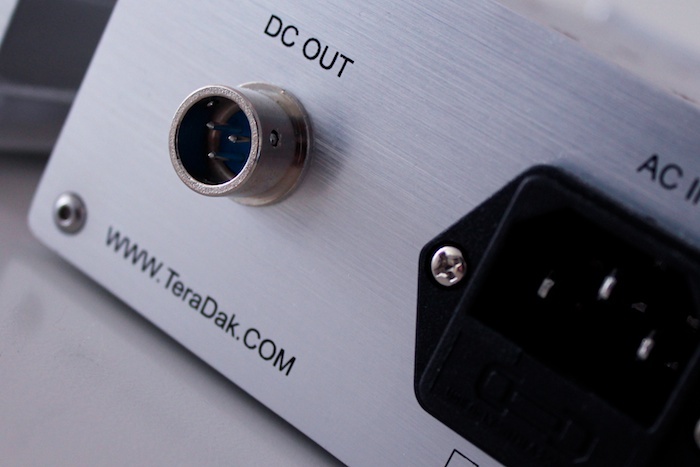 The umbilically-linked power supply box makes a difference and probably one of many reasons why this DAC is both more expensive and better-sounding that its Valab forerunner. Is it $400 better? Oh yes. Here’s a thought: maybe the Teradak’s midrange connotes clarity and forwardness because of its diminished bass presence. Whatever the reason, it suits my personal listening tastes to a tee (as I’m sure it will many others). Those that enjoy epic-bass-slam-above-all-else from their digital source should maybe look elsewhere. Maybe. I mean, it isn’t that bass shy. During my listening sessions, the lower frequencies became more furtive at about the 100 hour mark. 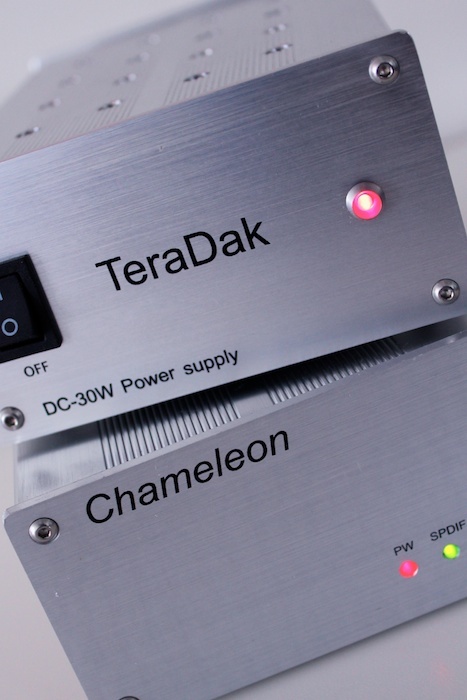 The Teradak Chameleon is what a good hifi product should be: one that sounds good the first time you plug it in and improves further still during the burn-in period. There’s nothing more frustrating than having something that sounds ordinary on first spin and then being told by the retailer or manufacturer that you should be patient with it. What if they’re wrong? 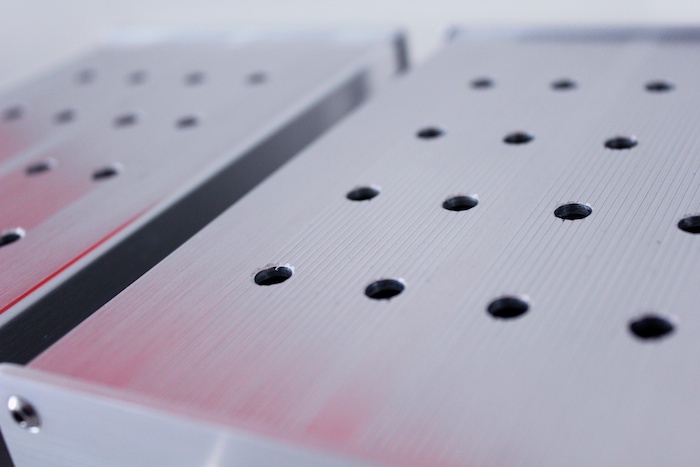 200 hours down the run-in-track can be a long time for the casual listener – months for some – and an unsatisfactory destination sound ccan often be too late to return the product. Moreover, the Teradak’s fluidity makes all music genres sound good. The electronic rivers of mercury on Theorem’s Experiments In Synchronicity sounded smooth and organic, Nick Cave’s baritone suitably ominous and tuneful. 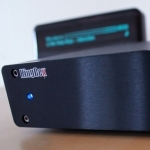 I won’t be so glib as to call this DAC a no-brainer at $580, yet its appeal could well be near-universal. 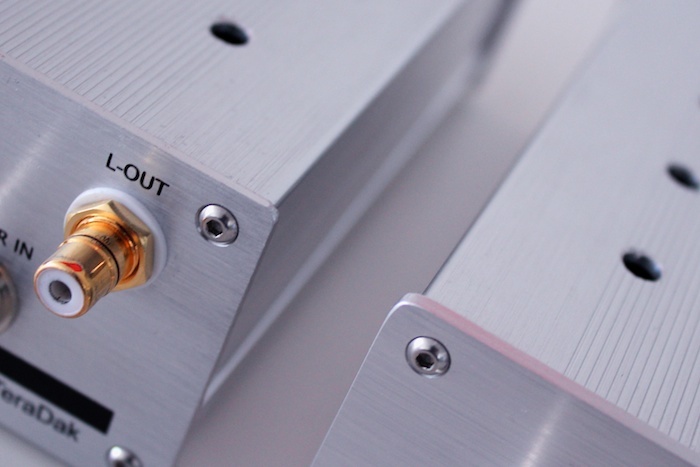 Many hifi enthusiasts will make their first purchase in the digital audio dominion with a sub-$1000 DAC. 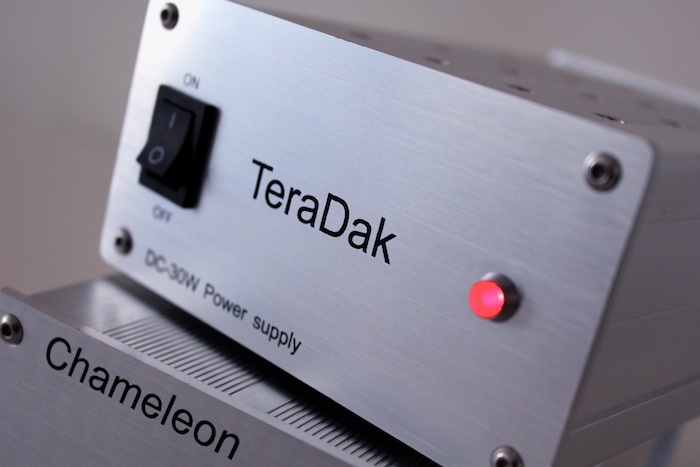 The TeraDak Chameleon offers a near-faultless auditory argument that it should be the pick of the bunch in the vigorously competitive budget DAC landscape. The combination of price and the effortless ease by which it reproduces music finds my disagreement valve completely paralysed.